WORKPOINT engineering is currently seeking an enthusiastic BIM Modeler to join the team. This opportunity is best suited to a recent graduate or someone looking for an opportunity to develop their skills in the world of Building Information Modeling. With our BIM savvy and collaborative office we offer the ideal environment and structure to support your development. If you have a passion for the built environment, take pride in your product and want to work on unique and challenging projects then we want to hear from you. WORKPOINT engineering is a full-service structural engineering firm comprised of a team of dedicated professionals that deliver high-quality engineering services through collaborative, creative efforts. WORKPOINT engineering is currently seeking talented engineers to join the team. Our flexible office structure means we encourage applications with a range of experience. Whether you are straight out of school or a few years into your professional life, if you are capable and ambitious we want to hear from you. We have some great projects to challenge you and offer a friendly and supportive office environment for you to flourish. Last week, Los Angeles welcomed its first open-air stadium since the iconic Dodgers Stadium in 1962. Banc of California Stadium is home to the Major League Soccer (MLS) team, LAFC, who played their first historic home game yesterday. WORKPOINT engineering supported iconHD by providing structural engineering design services for the canopy signage, scoreboards, and videoboard ribbons. It was a particularly notable day for Principal Ben John, who was the Project Manager for the stadium’s structural design at his previous firm and has worked on the project in both capacities for the last three years. Designed by Gensler Sports, BOC Stadium is located adjacent to the Coliseum in Downtown Los Angeles. It holds 22,000 people and features 190,000 square feet of cantilevering ETFE clad canopies. ETFE (Ethylene Tetrafluoroethylene) is a translucent plastic fabric capable of spanning large distances using integrated cables or by creating inflated “pillows”. BOC Stadium features both types supported by exposed curved tubular steel framing. The East stand features a unique integrated bowl and canopy steel structure whilst the West stand is a reinforced concrete structure that is home to club areas and suites. The seating is some of the closest and steepest in Major League Soccer, creating an intimate atmosphere that exploded when the team captain, Laurent Ciman, scored the lone winning goal in stoppage time. WORKPOINT engineering is delighted to announce that David Flores has joined the firm as Building Information Modelling (BIM) Director. With over a decade of experience, David comes from Thornton Tomasetti, where he was responsible for the Building Information Modelling on a number of prestigious projects throughout the Greater Los Angeles region, including Banc of California Stadium, Anaheim Regional Transportation Intermodal Center (ARTIC), and the New Sciences Building at LMU. WPe’s Principals, Ben Varela and Ben John, are thrilled to welcome David, having worked with him extensively earlier in their careers. To date, the firm’s success has been supported by its strong capabilities with BIM and the utilization of technology. Tasked with leading this effort, David’s extensive experience with complex, architecturally-driven projects, as well as the latest BIM technologies, will provide WPe with the opportunity to continue cultivating the latest developments within the industry. 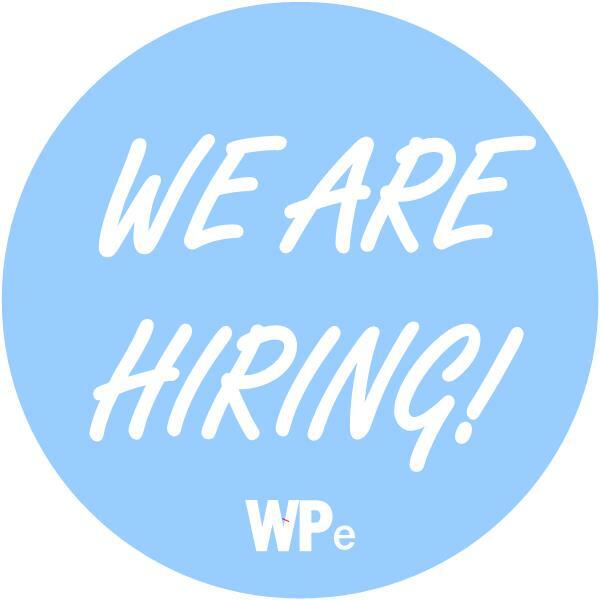 Come Join the Team at WORKPOINT engineering! Our growing workload means that we are currently looking for an engineer and a BIM modeler to join the team. Our flexible office structure means we encourage applications from a range of professional and educational backgrounds and we want to hear from you if one of these positions matches your skills and ambitions. Thank you to everyone who joined us at the inaugural WORKPOINT engineering "open house" last night! It was a fantastic evening and a great way to celebrate our newly completed office space. We feel very fortunate that we work with so many wonderful people, and it was truly a joy to be able to share our new space with so many of you. We really appreciate you all making the effort to join us and hope you enjoyed yourselves as much as we did. We'll be having another event later this year (once we've caught up on some sleep and restocked the drinks chest), so please keep an eye out for updates! WORKPOINT engineering is delighted to announce that Katie Chuh recently joined the team as a structural engineer. A Los Angeles native, Katie graduated with a Master's degree in Architecture from the University of California, Los Angeles in 2016, and she attained her Bachelor's degree in Structural Engineering from the University of California, San Diego. "It's great to be part of a team of talented, driven engineers with a passion for structural design," says Katie. "I joined the company right after we moved into our new Santa Monica office, and the open space really captures the refreshing, innovative energy of the group." Currently, Katie is working on a mix of residential, commercial and sports-related developments, and she looks forward to continuing to work on a wide range of projects with local architects. Katie’s experience in architecture as well as engineering will be invaluable given the nature of WPe's projects and the collaborative approach the team brings to every project. This focus on collaboration allows WPe to develop unique and innovative solutions that bridge the gap between engineering and design regardless of project type or scale. WORKPOINT engineering is delighted to announce that we have relocated to a new office in Santa Monica, located at 1014 Pico Boulevard. While we have some work to do on the decorating front, we are fully operational (currently serving both espresso and cold beer!). Everyone is enjoying the new space (see above for a sneak peek). Please send any future correspondence to our new address, and be sure to stop by whenever you're in the area! WPe are delighted to announce that we are soon moving into a new office space in Santa Monica. We dropped by today to sign the lease and visit the suite where the painters were busy repainting in preparation. Though it is sad to see our time sharing with Kevin Daly Architects et al come to an end the new space is symptomatic of our continued growth and we anticipate it will be our home for some time to come. We're going to be busy with lots of work to do to make it more comfortable and fully operable so keep an eye out for updates. We look forward to welcoming you for a visit in the not too distant future! Welcome to 2017! Here at WPe, we've made a jump start on our New Year's resolutions and spruced up the website with a new layout and some updated info and images. We hope you enjoy the new format and keep an eye out for more pages as we continue to add to our project sheets (old an new). A big thank you to all our friends who joined us for the WORKPOINT engineering End of Year Party at the American Cement Building. It was great to see everyone and celebrate what has been an exciting year for us. We hope you had all had a great time and enjoyed the unique view of DTLA. A big thank you to our good friends Peter Adams for the photography (www.depictstudios.com) and to Paul Davis for helping us host the event (www.cementstudio.net). Whilst 2016 might have been a tumultuous one for politics and music icons, it’s been great for WPe and we are thankful for all the wonderful projects and opportunities you have involved us in. We would also like to take this opportunity to extend a special thanks to the engine room of WPe, Katie Chuh, who has been an integral part of our success to date. We wish all our clients, colleagues and friends a Merry Christmas and a Happy Holidays. We hope you enjoy your break (if you can escape your office!) and we look forward to a great 2017 with you all. Ben and other members of the 2017 Ideas2 jury at the AISC’s headquarters in Chicago. Ben Varela of WORKPOINT engineering was recently selected as a juror for this year’s AISC Ideas2 Awards https://www.aisc.org/ideas2/. The awards are the highest honors bestowed on building projects by the U.S. steel industry. Sponsored by the American Institute of Steel Construction (AISC), they recognize projects constructed in the US where structural steel has been used in an innovative manner. In addition to rewarding architectural expression and creativity in the use of structural steel, the award also values project team collaboration and efficiency in construction. Ben was honored to form part of the 8 person team of design and construction industry professionals that gathered in Chicago at the end of November to consider the numerous applications. Selecting the winners was a difficult but rewarding task. It was inspiring to see so many talented teams of architects, engineers, contractors and owners across the country, working together to accomplish such remarkable projects. The entries this year included a wide range of buildings, from corporate campuses to public libraries, and stadiums to art installations. Despite having very different programs, budgets and scales, the awarded projects shared a distinctive quality for boldness in design and a deliberate effort to be unique. Ben had previous firsthand experience of the award last year when he was part of the design team that won a merit award for Pomona College Studio Art Hall [2015 Ideas2 ]. WORKPOINT Engineering is a full service structural engineering consulting firm comprised of a team of dedicated professionals that deliver high-quality engineering services through collaborative, creative efforts. WORKPOINT engineering had a very enjoyable night out celebrating with everyone at the LA AIA Design Awards. Great to see an award for BiHOME by Kevin Daly Architects in collaboration with UCLA CityLAB, for which WORKPOINT engineering served as structural consultant. Two other projects in which WORKPOINT engineers were involved (with their previous company, Thornton Tomasetti) also received awards: Loyola Marymount New Sciences Building by CO Architects and Pomona College Studio Art Hall by WHY Architecture. Fantastic to see these wonderful projects recognized by the AIA and congratulations to all the companies and individuals who won last night! Inspiring to see the quality and variety of projects being created by the LA design community! We are delighted to announce that Ben John has joined the team. Originally from London, United Kingdom, Ben has been based on the West Coast for the last five years where he met Ben Varela (Founding Principal) at their previous company, Thornton Tomasetti. Ben leaves Thornton Tomasetti as a Senior Associate having spent nine years with the firm working in their London, New York and Los Angeles offices. He previously worked at Mott MacDonald in the UK. With over 12 years working in the industry, Ben has a wide range of design experience including stadiums and arenas, commercial offices, high rise, transport and educational buildings as well as smaller scale residential and cultural projects. Most recently he has been leading the design effort on the new LAFC Stadium here in Los Angeles and Nike’s new World Headquarters in Beaverton, Oregon. Ben has a passion for expressive structure and the use of technology to help all aspects of the design process. From exploring concepts through structural analysis up to delivery of the final documentation and sees Workpoint as a likeminded organization to continue to explore and build on his experiences to date. The two Bens are excited to be working together once again and looking forward to the opportunities to continue to engineer the visions of the vibrant design community here in Los Angeles. WORKPOINT Engineering is a full service structural engineering consulting firm comprised of a team of dedicated professionals that deliver high-quality engineering services through collaborative, creative efforts. Located in Los Angeles, the team brings over 20 years of experience and passion to each and every project.